(Virginia-Pilot) The trial of a former sailor charged with trying last year to give “top secret” information to Russian agents began today in U.S. District Court. Defense attorneys for Robert P. Hoffman II asked the court for a postponement, noting the publication this month in The Virginian-Pilot of a 12-part series about the John Walker family spy ring. They worried the jury pool is now predisposed to want to punish anyone charged with espionage. Judge Robert G. Doumar ruled this morning jury selection could proceed. He believed an unbiased jury could still be empaneled with proper questioning. Hoffman, 40, a retired petty officer first class from Virginia Beach, is charged with attempted espionage. He is accused of passing classified information to undercover FBI agents posing as Russian intelligence officers. The crime carries a possible death sentence, but federal prosecutors say they will not pursue that penalty. . . . . Investigators say two years ago Hoffman went on a vacation in Belarus, which borders Russia. After this trip, the FBI instituted a false flag operation to see if Hoffman would attempt to trade classified information. An undercover agent contacted Hoffman on an online dating site and went on two dates with him, during which they discussed Hoffman’s trip to Belarus. For months, FBI agents posing as a Russian intelligence operative named Vladmir corresponded with Hoffman by email. In the emails, prosecutors say Hoffman shared information about his Navy background and his security clearances. FBI agents also have surveillance video of Hoffman dropping off classified documents in a trash bag and hiding them in a park for Russian operatives to pick up. A former sailor on trial for attempted espionage claims he gave classified information to what he believed were Russian spies in an attempt to catch them. 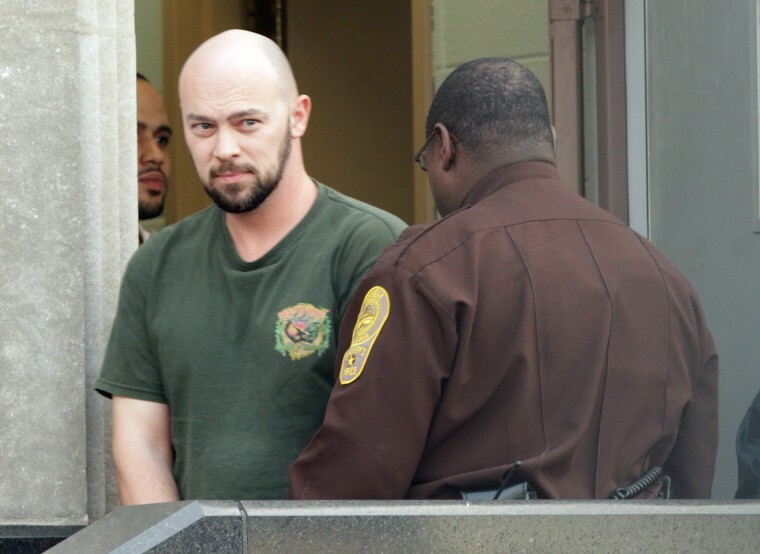 The federal trial for retired Petty Officer 1st Class Robert P. Hoffman II began Thursday in Norfolk. Hoffman, 40, spent much of his 20-year Navy career on submarines as a cryptologic technician. After he went on a three-week trip to Eastern Europe in 2011, the FBI sent Hoffman a medal and letter in 2012 purporting to be from Russian intelligence officers asking him to provide “technical expertise,” Assistant U.S. Attorney Alan Salsbury said during opening statements. Hoffman made three drops in all, including one in which he provided his handlers with information about how to track American submarines. Hoffman communicated via email and in a series of dead drops at First Landing State Park in Virginia Beach with an FBI agent using the pseudonym “Vladimir.” The two signaled each other when items were ready to be picked up by sticking electrical tape to a map at the park. After the third drop, in which Hoffman also gave the handler classified information as to how the U.S. tracks foreign warships, Hoffman approached the FBI in Norfolk and gave agents a diary he’d been keeping of his “mission” and other evidence, including some tape his handlers had touched in the hopes the FBI could get a fingerprint from it. He claimed he had tried to lure in the spies so they could be caught. . . .